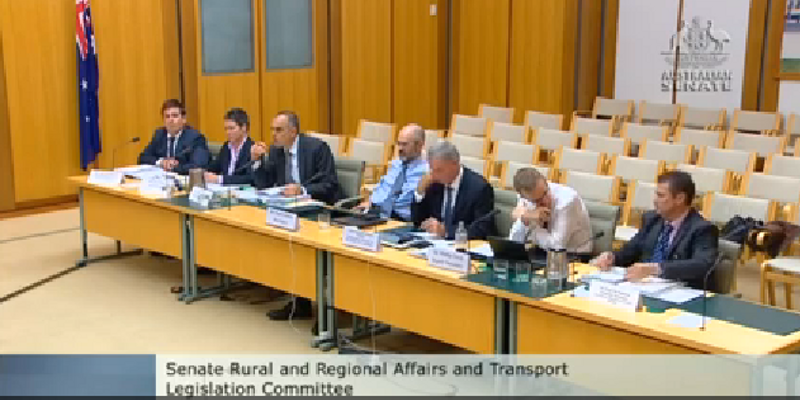 At Senate estimate hearings on Monday Senator Janet Rice, the Greens spokesperson for forests, asked a number of probing questions on Regional Forest Agreements. One question in particular asked about how climate change science was included in the review of these agreements. The bureaucrats looked like stunned mullets, until one volunteered that the question would have to be taken on notice. Really? They haven’t considered some sort of cost benefit analysis of carbon sequestration? Not even as an opportunity to bid under the Emmissions Reduction Fund for the carbon sequestration potential involved in protection of old growth forests? Senator RICE: I have one more question on climate, particularly on how climate science has progressed significantly in the years since the first RFAs were struck and climate has not been considered in the reviews so far. I want to know how it is intended that the impacts of climate change and the value of forests for carbon sequestration are going to be taken into account in the review and progress reports to come. Mr McNamara: We will have to take the question on notice. Another question focused on the second review of the Victorian Regional Forest Agreements and the lack of public scrutiny due to it’s delayed release….for 5 years. The 3rd review of the Victorian Regional Forest Agreements are about to start, yet the results and government response of the last review from 2010 have still not been signed off and released to the public. The Victorian and Federal Government has been sitting on the last review for 5 bloody years. Senator RICE: So the governments have been sitting on it for five years and still have not released a response to that independent reviewer’s report? Mr McNamara: As I say, the document should be released shortly. It is all but finished, but we just need the new Victorian government to agree. It has gone through quite a range of comments, back and forth between us and the Victorians. It is quite a complex review, given that there are five Victorian RFAs. That makes the process very, very difficult and quite complex. Senator RICE: Given that you have got a third review that is almost starting and you have not actually finished the previous period, don’t you feel that is a bit of an issue? Mr McNamara: Having said that we have not finished the combined first and second, I think we are very close to having it finished. My understanding from discussions with Victorian officials is that their view is that it is done and dusted. They just need to get it signed off by the Victorian government and the new minister within the Victorian government. In January 2015 a confidential report prepared by academics from the Australian National University was given to the Federal Minister for Environment Greg Hunt and reported on by Greg Arup in the Age (Highlands logging halt would earn Victoria $30m a year in emissions reductions: report). According to Arup, the report revealed that stopping logging in Victoria’s central highlands would save about 3.2 million tonnes of carbon dioxide emissions a year. The Victorian Government could bid under the reverse auction of the Federal Government’s Emmissions Reduction Fund to stop logging and save emissions and earn more income from saving the forests than from logging. If the winning bid was $10 per tonne of CO2 under the fund then Victoria would earn about $30 million a year by saving the central highland forests. It would amount to meeting 5 per cent of Australia’s present carbon emission reduction target of 5 per cent by 2020. She urged the new Victorian Government lead by Premier Daniel Andrews to progress a sensible environment policy by creating the Great Forest National Park. “It will be a win for the climate, a win for local communities and a win for Victoria’s animal emblem, the Leadbeater’s Possum.” she said in a media statement. Under CFMEU pressure, the Labor Party backed away from endorsing the campaign for the formation of a Great Forest National Park prior to the state election in 2014 but did promise to establish a forest industry taskforce to examine the issues of forestry jobs, biodiversity and wildlife protection, and potential for carbon sequestration. 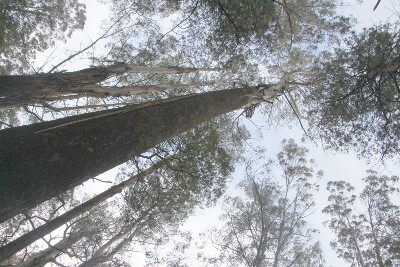 Research has also shown that Logging of Victorian mountain ash forests increases bushfire risk. A study published in 2014 highlighted that logging practices made the 2009 Black Saturday bushfires much more severe and intense. The study, Non-linear effects of stand age on fire severity (abstract), quantified the relationship between forest stand age and fire severity based upon the 2009 bushfire records. We identified a strong relationship between the age of a Mountain Ash forest and the severity of damage that the forest sustained from the fires under extreme weather conditions. Stands of Mountain Ash trees between the ages of 7 to 36 years mostly sustained canopy consumption and scorching, which are impacts resulting from high severity fire. High severity fire leading to canopy consumption almost never occurred in young stands (40 years) stands of Mountain Ash. “Logging actually makes a forest more likely to have a fire at a much higher severity than otherwise would be the case,” Professor Lindenmayer said according to a Business Insider Report. He outlined that government forestry policies need to change to protect people, towns and the forest itself. “There has to be a major change in forest policy in Victoria that has to take into account fire risk. There should be no wet forest logging within 5-10 kms of any town. Governments that are sanctioning these kinds of things need to have a think about not only this summer and next summer but the next 40 summers.” said Lindenmayer. 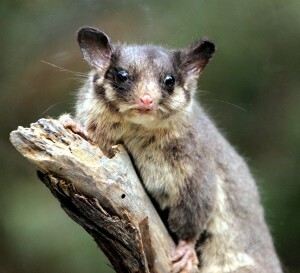 The previous Victorian government under the Premiership of Baillieu and Napthine was accused by scientists of knowingly driving Leadbeater’s Possum to extinction in 2013. John Englart has been reporting as a citizen journalist on climate issues for over 10 years. During 2015 he will be travelling to attend the UN Climate talks in Paris, France from November 30 to December 11. You can help support his live reporting from Paris by contributing to his fundraisng campaign. Read further articles by John Englart at Nofibs. Thanks for this piece. NSW is in similar situation to Victoria. The RFA reviews are 5 years behind, no consideration of climate change on the forests or the role of forests in locking up carbon. Good too to read the comments by Lindenmeyer re logging increasing fire risk… this needs a lot more coverage. The logging industry propaganda machine is churning out stuff that says the way to stop wildfire is to ‘remove the undergrowth’, which is code for converting wild places to evenly space plantation monocultures.